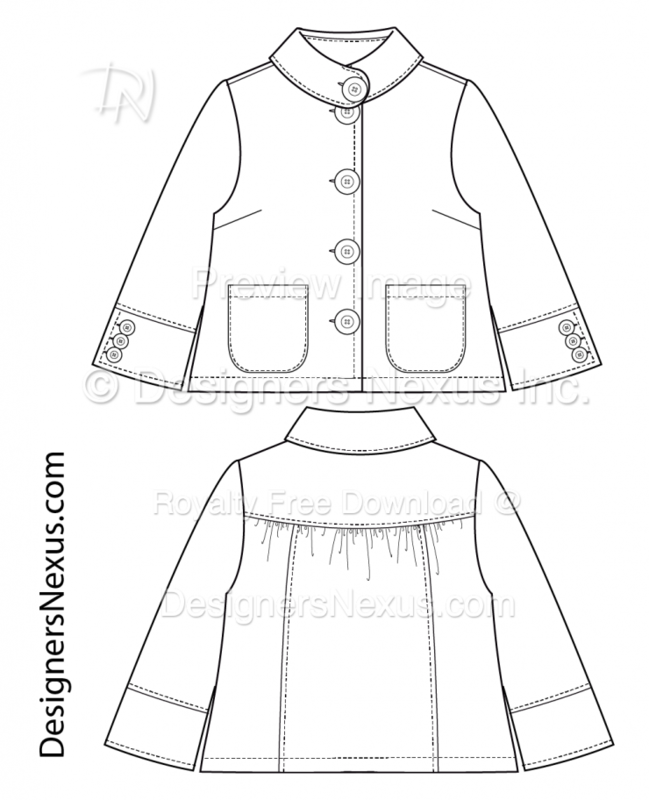 Professional Flat Fashion Sketch Coat Template 021 is a front and back view of a short length, box fit women’s coat with a collar stand, two round corners, patch pockets, 3 buttons cuffs, and gathers at the back yoke. Fashion Industry standard technical flat sketch comes in high resolution PNG with transparent background, Adobe Illustrator & svg vector formats. To download women’s coat flat fashion sketch template 021 vector (ai, svg) and png files without watermarks click on the ‘ZIP’ download link.